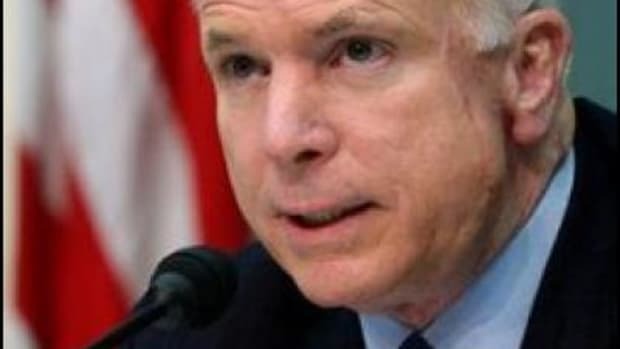 Its about time the mainstream media started calling out McCain on his lies. They have for too long simply cut him slack because of his military service and gregariousness with the Washington press corps. But even they have to admit the his recent conduct, in military terms, is behavior unbecoming of a senior United States Senator and self-pronounced gentleman and public servant. And as much as the media want to cover for McCain&apos;s incompetence, even Newsweek columnist Jonathan Alter has had to question if McCain really is who he claims to be. shaping up as the "civil" contest that both candidates promised either. Instead, we&apos;re seeing the emergence of a "smear gap". John McCain making stuff up about Barack Obama, and Obama trying to figure out how hard he should hit back. negative. That would be "balanced", but also untrue. their analyses of campaign ads. not engaged in anywhere near the number of falsehoods as McCain.